While there are many treasures in the Demesne, both in the gardens and the Science Centre, the Parsons family, having lived in the castle for almost 400 years, have many others not on display. They are happy to share these with special interest groups which, if their schedule permits, will be hosted by Lord and Lady Rosse themselves for a day in the castle and gardens. Lord Rosse also especially looks forward to welcoming gardening tours, (where a visit to the castle will also be included). He is delighted to take round interested gardeners and share his special knowledge of collecting and planting. When special interests have been notified in advance, treasures from the castle’s many collections can include: the beautifully illustrated works from the botanical library, whose earliest works date back to the mid sixteenth century, or needlework, silver or historical manuscripts and letters from the castle’s archives where even the cookbook of the 1660s is still preserved among many other papers. Lord and Lady Rosse can explain the details and stories that may attach to these objects in the beautiful rooms of the Castle, and the other treasurers that may be hidden away in drawers and cupboards and the Castle Archives. The castle is always decorated with flower arrangements, some by Lady Rosse personally, representing a great tradition at Birr. The tour of the Demesne’s beautiful Gardens is adapted as the programme may allow, visiting also the Great Telescope and the galleries of Ireland’s Historic Science Centre, if time permits. Lunches and Dinners at Birr are served in the dining room, where the last seven generations, look down from their formal portraits on the walls. All of the food at Birr is carefully prepared using as much as possible produce of the estate, with the menu reflecting dishes from many generations. These include special favourites; home grown water cress from St. Brendan’s well directly beneath the castle or estate venison from the estate’s red or fallow deer and delicious fruit desserts. The wines are chosen from the great vintage wine collection selected from the depths of the castle cellars. It should be borne in mind that as the Demesne is very extensive and covers over 50 hectares in all (over 120 acres), it is difficult to do justice to it in less than two or three hours. 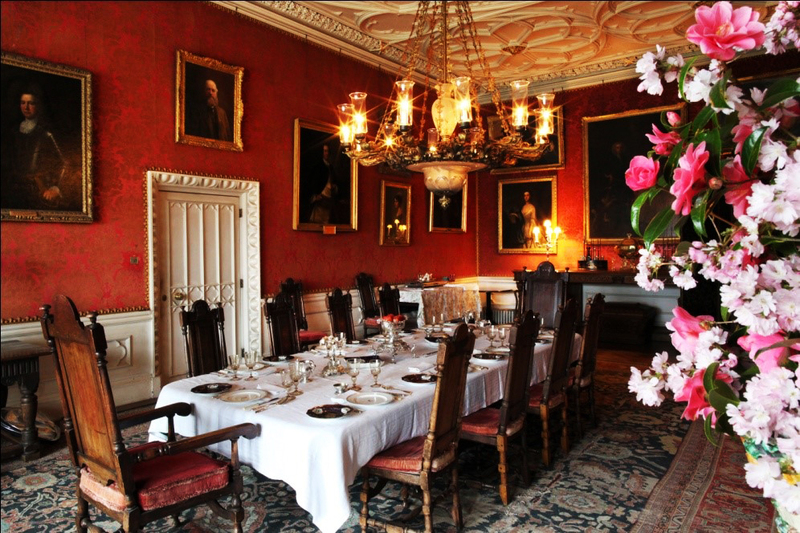 One must bear in mind therefore the time needed for the reception and the lunch in the castle, as well as the personal tour of its main rooms, a minimum of about five hours needs to be planned for Birr Castle, whatever the programme may be for the day. The Gardens and Science Centre are open all year round..
We are also available by private booking for fashion or film shoots . 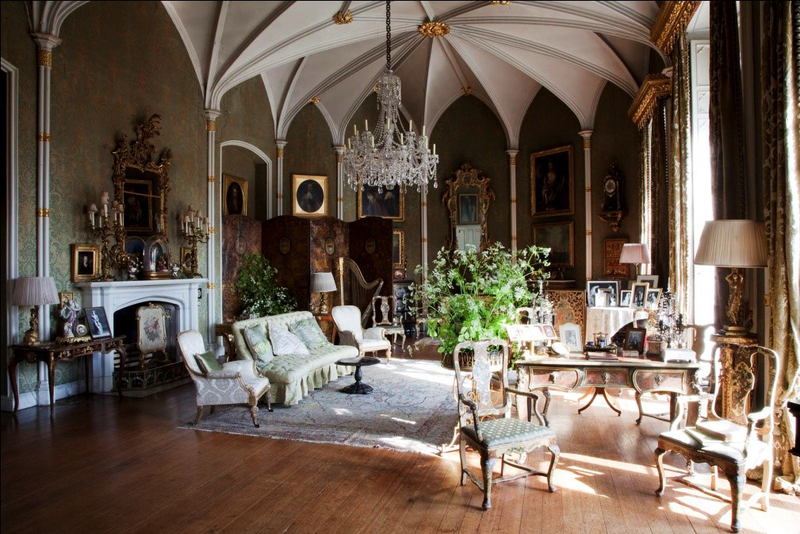 The Estate Office, Birr Castle Demesne, Birr, Co. Offaly, Ireland. The Estate Office is open Monday to Friday in the mornings only, times and dates are subject to change.